Lower on the ingredient list are a handful of citrus-based oils: tangerine leaf, bergamot fruit, and grapefruit peel, which I'm guessing are what gives this face cream its bright, cheerful scent. It is important to know, though, that citrus oils have potential to be photosensitizing or irritating to skin, especially in higher concentrations (see this CIR review). I've used Nourishing Face Cream daily for several weeks and have not experienced any irritation or photosensitvity that I know of. That being said, I would be cautious about using this or any other skin care product containing citrus oils prior to a lot of UV exposure such as tanning or a summer day at the beach. If you are careful about this and low concentrations of citrus oils are not an irritation risk for you, Nourishing Face Cream has very good moisturizing properties that would suit dry skin. Last, somewhat nitpicky note: some products have pumps that are sensitive enough to allow you to control exactly how much to dispense. Nourishing Face Cream's pump is not one of those. The amount that gets dispensed in one pump is not quite enough for my whole face, but two is way too much, so I use the excess on my neck. 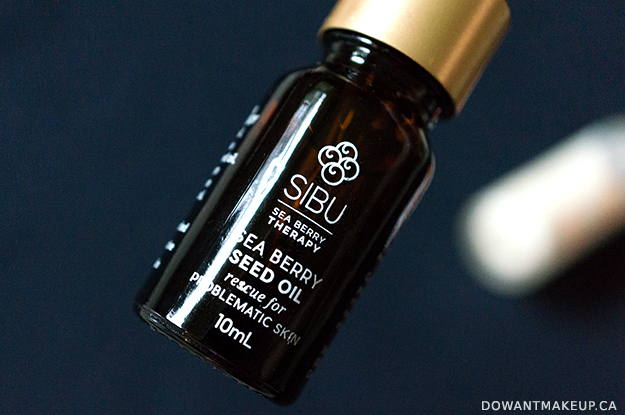 Sibu Sea Berry Seed Oil is a straightforward product containing only organic sea buckthorn seed oil. 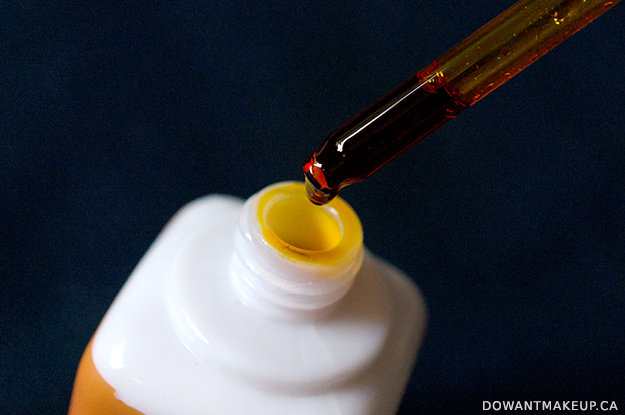 This is the topical grade version, a pale, sunshiny yellow oil in an amber-coloured dropper bottle. 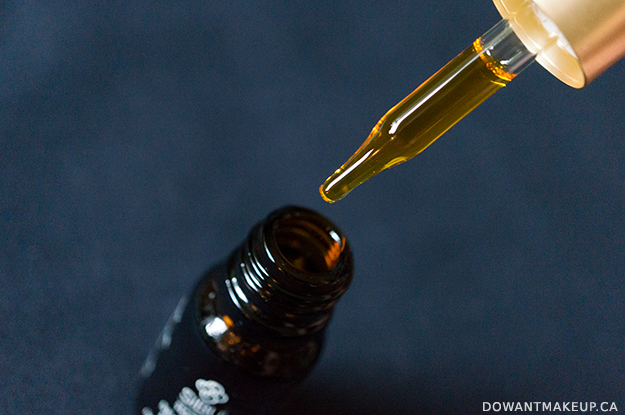 I've used a few facial oils in the past, and this one is the "driest" of them all: compared to the argan and rosehip oils I've tried, it doesn't slip and slide around as much, and absorbs a bit more quickly. It also doesn't make my face as shiny/oily as the Nourishing Face Cream. 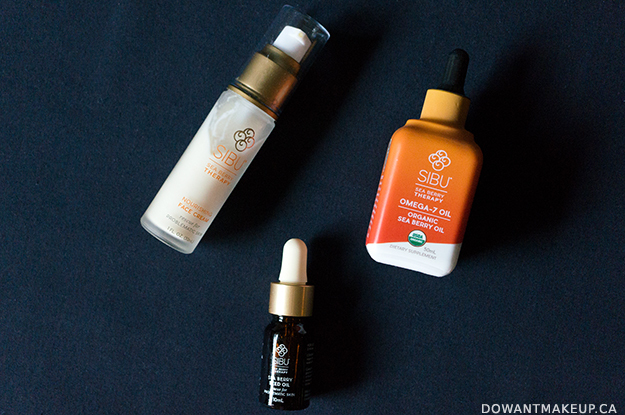 I use 2-3 drops all over my face as the last step in my skin care routine, either morning or night. My forehead/right eyebrow area are problem spots for me, and I find that I get dry flakes around there if I apply foundation after using this oil. It's not quite moisturizing enough to address my drier skin patches, but may be a nice, lightweight option for someone more in the normal or oily type. 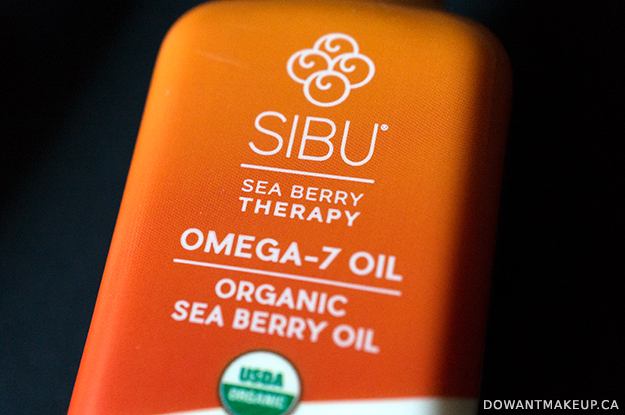 Omega-7 Oil is Sibu's dietary supplement version of the sea buckthorn oil. In addition to the dropper bottle version, sea buckthorn supplement is available in softgel capsules or puree. 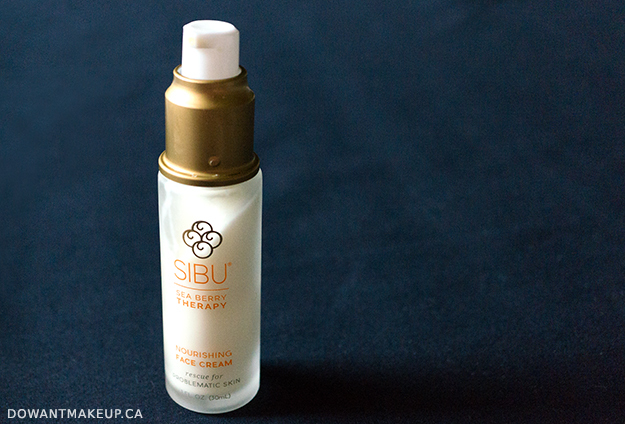 Sibu says this oil "supports heart health, mucosal membranes, metabolic systems, healthy skin & nails". Sea buckthorn is very high in omega-7 (if you google "Omega 7", a lot of the top results will be related to sea buckthorn), but unfortunately there isn't as much information or studies available on the benefits of this particular fatty acid as, say, Omega-3. It has an odd, plastic-y taste. Directions indicate to take 2 full dropperfuls, but just one drop under my tongue was unpleasant enough. I wouldn't recommend taking it by itself, but it can be mixed into a smoothie or yogurt to help mask the taste. As with any dietary supplement, it can be pretty hard to gauge effectiveness - it's a little easier if the effects are mainly external (stronger nails, etc), but there's no way for me to tell if there was any boost to my heart health or metabolism. Is it worth checking out? The price point for the skin care products is pretty reasonable! The Nourishing Face Cream was surprisingly moisturizing and packed with lots of hydrating oils, which makes it great for winter use but probably not a great option for oily skin types. (But again, you should be careful about sun exposure while using this due to the citrus oils added. Always patch test!) The Sea Berry Seed Oil, while not a favourite, is a nice addition to my growing collection of facial oils. It might be worth a look if you've found other oils too heavy or greasy, or want to try 100% pure sea buckthorn oil with no other ingredients added. I would skip the Omega-7 Oil until there are more studies examining its efficacy as a supplement for its various health benefits.